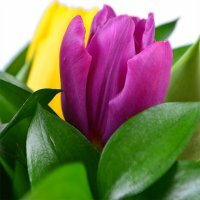 Tulip varicolored(11 pt. ), Greens(1 pt. ), Packing(1 pt. ), Tape(1 pt.). 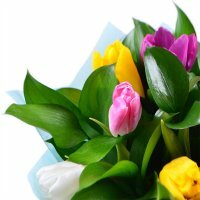 Birthday, Business, Classic bouquets, Colleague, For grandmother, For her, For him, For mother, For young lady, Gratitude, I Miss You, Mother-in-law, Teacher. 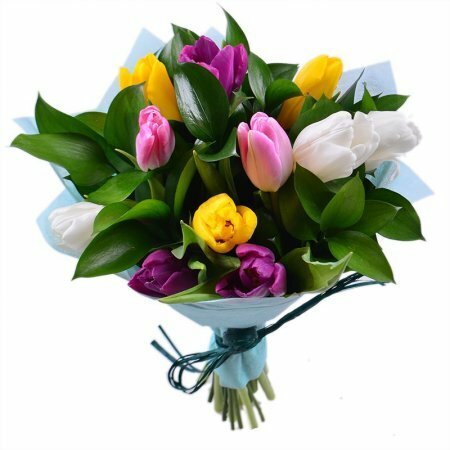 Bouquet «Piece of news» is a fresh and lovely multicolor mix of flowers, filled with a spring joy and positive. Just take a look at this marvel! 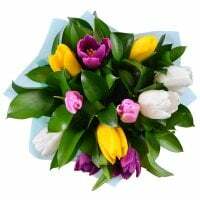 It’s a prefer present on Mother’s Day and March 8th, and a nice way to remind your close ones’ about what you feel. 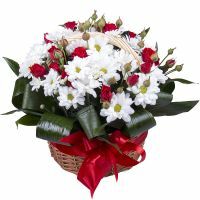 Use this bouquet to cheer up your dear ones and near ones. Share your emotion and some words from heart to improve the one’s mood and make her day better. Enjoy! I had sent yesterday.. still not delivered.. Manager response: Hello, Tony. We apologize for late delivery. It was because of the holiday and big quantity of orders. But we will try to deliver your next order on time and the best way. Manager response: Thank you, Tony, for your order and feed back. We are always glad to deliver your next order.